For your leaks and spills, Andax has the answer. Use our Original Sorbent Pads to pick up the smallest drip or the largest spill. Use them outdoors — rain or shine. 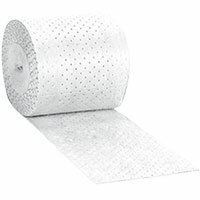 Sorbent rolls 15 or 30 inches wide and 150 feet long--in case of an emergency, you'll want these rolls. Keep the grease and grime in check with our Barrier and Industrial Matting.